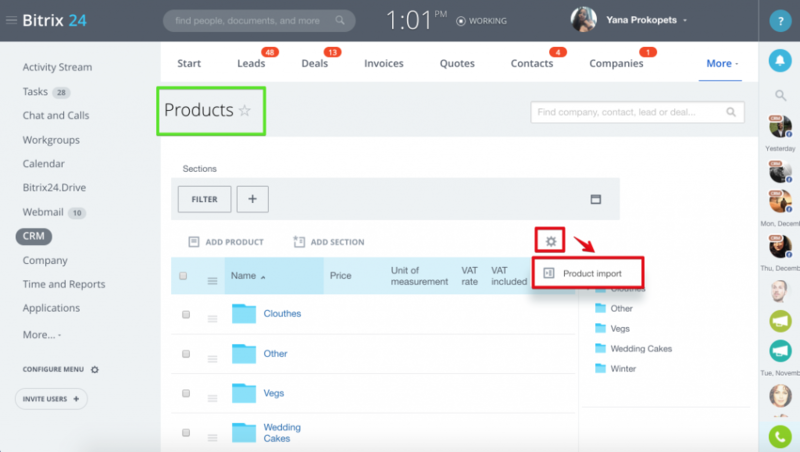 your CRM records to Bitrix24 leads, contacts, companies, deals or products. 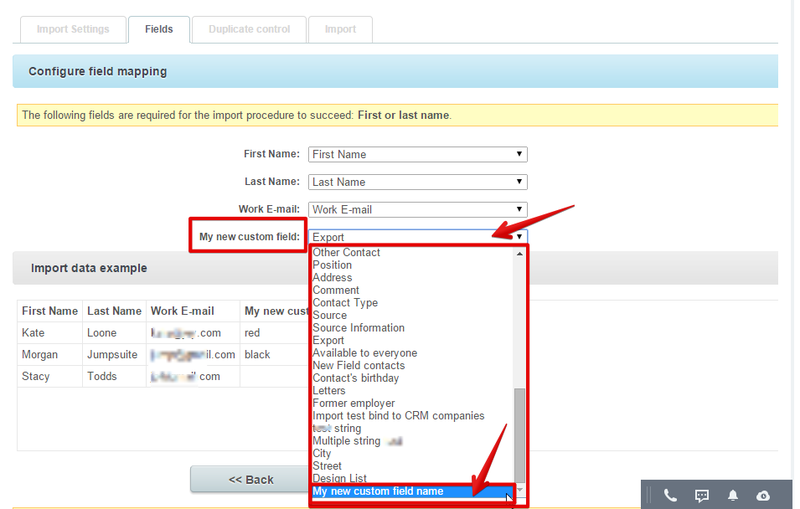 fields that Bitrix24 CRM leads, contacts, companies or deals forms don't have (see custom fields import below). Excel list of records (you will need to save it as CSV first). vCard, GMail, Outlook, Yahoo!Mail records to Bitrix24 contacts. take advantage of duplicate control during the import process. specify contact & company connection. Important: Your list of CRM record that you will import to Bitrix24 should be in CSV format. If you have Excel file please save it as CSV first. You can use export – import process to transfer your data to Bitrix24, which means you need to export data from your old CRM and import it to Bitrix24. Please note that you can currently import list of leads, contacts, companies, deals or products. CRM activities can not be imported. Open your Bitrix24. Go to CRM. 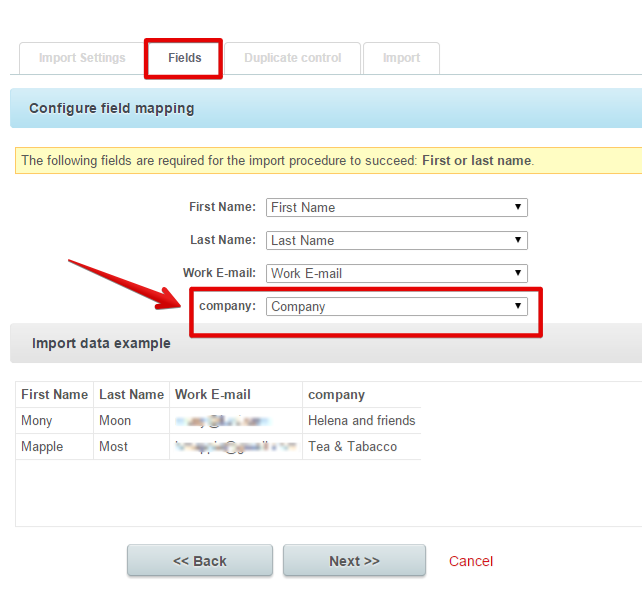 Use Import option available inside CRM records - Contacts/Leads/Companies/Deals. You can find this option in List View for Contacts or Companies. There are several import options available for contacts – if you are not importing your contacts from Gmail , Outlook, Yahoo. etc. use Import Custom CSV option. 3. Open Import form & upload your CSV file. Click Next to proceed. 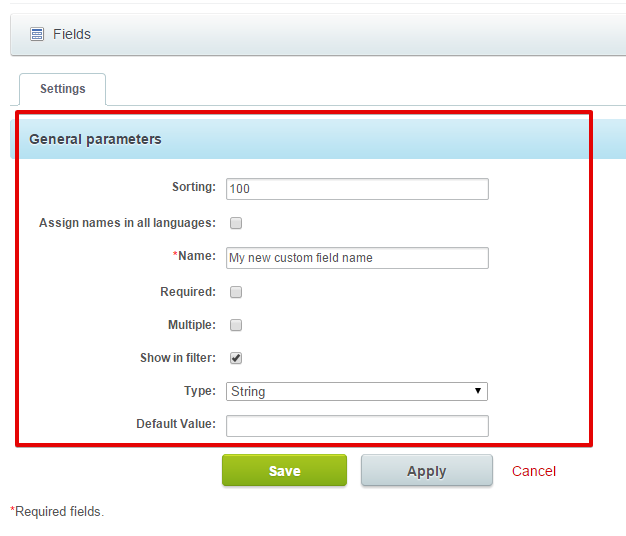 On Fields page select corresponding field name in Bitrix24 CRM. 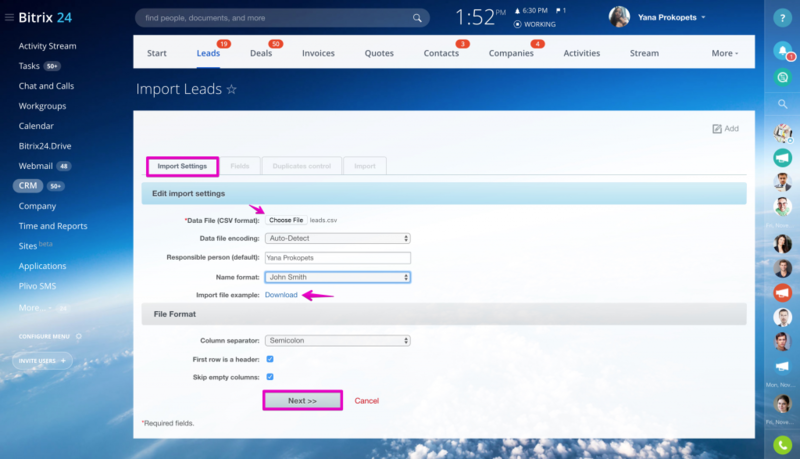 Please note that in case Bitrix24 does not have fields you need to import, you can create your own custom fields in CRM > Settings > Form & Report Settings > Custom fields > Create custom field. Please remember that you need to create these fields before you start the import process. The Import page will show the number of successfully imported records. Read more in the article - Product import. If your import file has any (custom) fields Bitrix24 CRM does not have by default, these new custom fields can be created in Bitrix24 & you will be able to successfully import your data after. If you set field type is list – don't forget to add all possible list property values, because if you forgot one, it will be imported with “undefined\no” value corresponding to this field. For example, your list have the following values – 'red', 'green', 'orange', if you forgot to add 'orange' to the list, the system will import contacts with 'orange' value as list=undefined\0. 3. 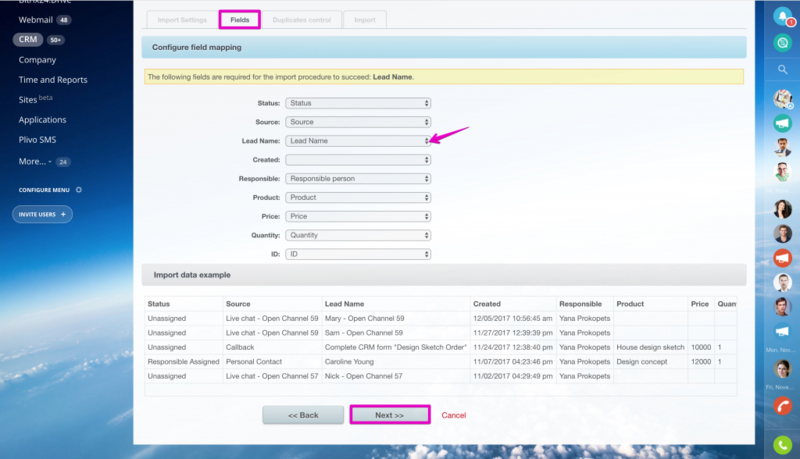 Please note that you need to add the new field you have just created to the new CRM item (e.g. contact) creation form. 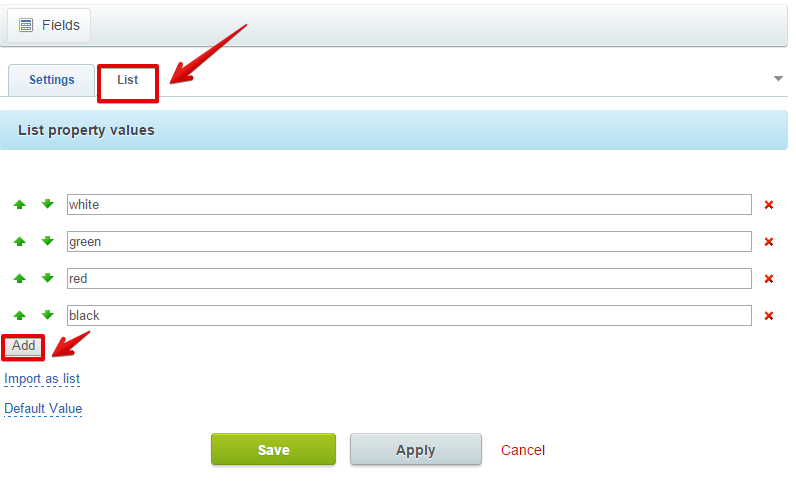 For that, please open CRM record form & click on Settings & select Reset Form. In this case, the companies-contacts connection will be established automatically. If you see funky characters, question marks after you have finished import, you need to check the CSV file encoding - the file must be in UTF-8. You can get a sample file if you add a couple of CRM items, e.g. leads, and export them after. 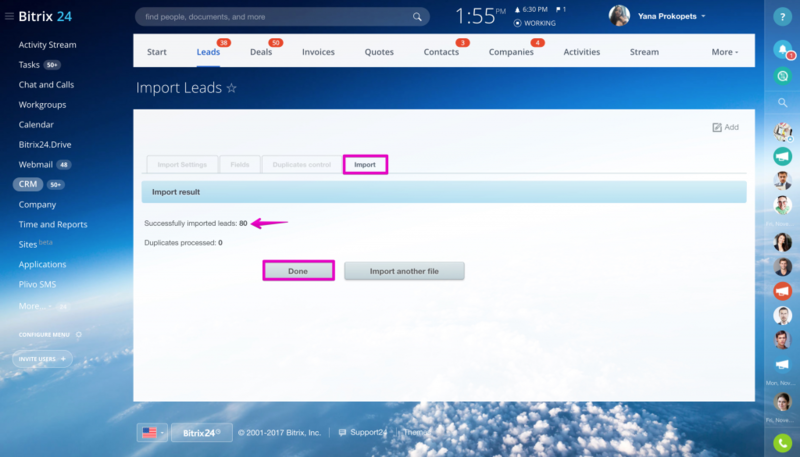 The exported leads file can be used as a sample. You can also use special programs to change your file encoding to UTF-8.